Bad Axe Throwing Washington D.C. is in the media! We recently opened our doors in Washington DC. 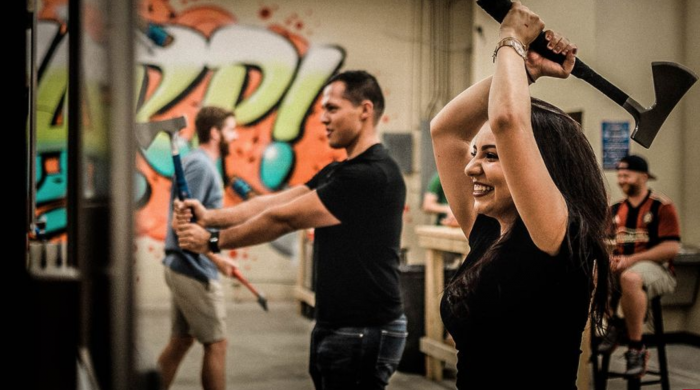 Many Washington media outlets were thrilled to share with their audience, that the biggest urban axe throwing club in the world, Bad Axe Throwing is now in Washington DC! Before our doors even opened in Washington DC, we were getting flooded with online booking requests. Bad Axe Throwing Washington is our 16th location. Here’s a summary from all the media we’ve received in Washington DC to date. Kidd O’Shea of Good Morning Washington paid us a visit. Looking the part with his lumberjack shirt, he gave the thrilling sport of axe throwing a try! It doesn’t take long before Kidd gets the hang of things and starts hitting bullseyes! Mindy Hill from The DC Voice gets an inside scoop and chats our founder and owner, Mario Zelaya before we officially open up in Washington. Move over to the sideline Washington Wizards! 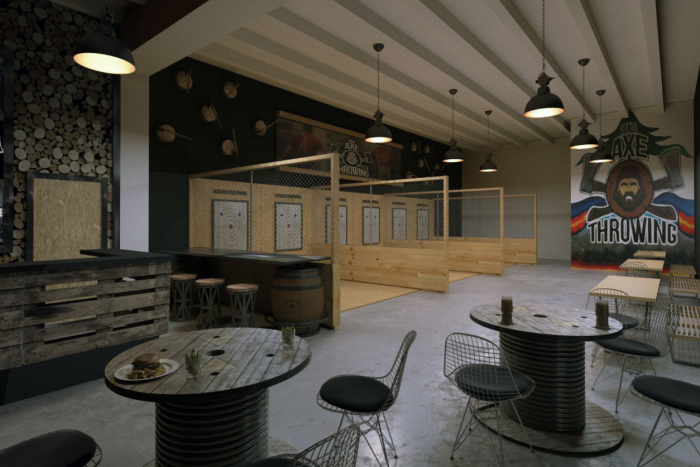 There is a new sport in town, Urban Axe Throwing is coming to Ward 5. Jeff Calbaugh from WTOP refers to urban axe throwing as bowling 2.0 and shares that Bad Axe Throwing is a founding member of The World Axe Throwing League. 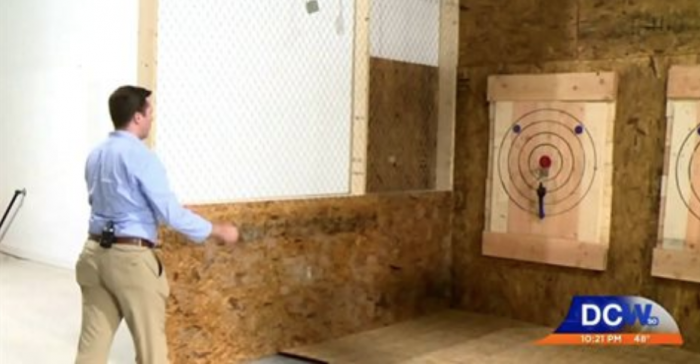 Jack Pointer from WTOP visited us at our newest location and gave axe throwing a try himself. He paid close attention to Operations Manager, Nick Jahr’s instructions and was SO close to getting the bullseye. While Americans are content to toss beanbags or roll bocce balls, our north-of-the-border brothers are throwing … axes. – Says Jack Pointer from WTOP. Fellow Canadian, Cameron Thompson with DCW50 gets a personalized axe throwing lesson from our very own Axe Throwing Chief Nick Jahr. After a few practice throws, Cameron catches on! Laura Kelly from The Washington Times thanks Canada for a number of items including axe throwing! 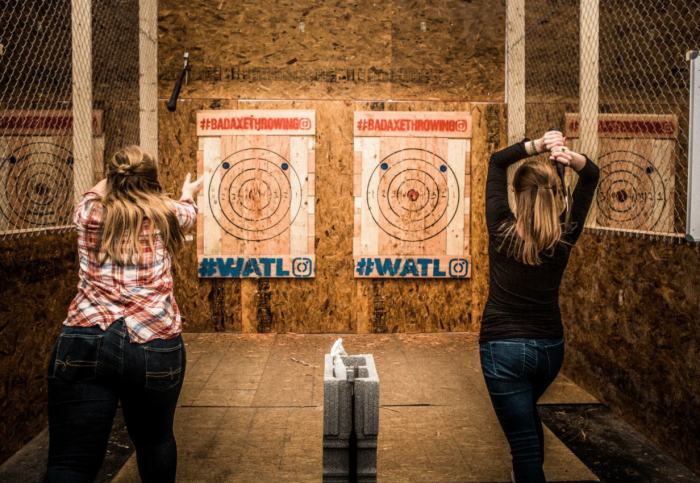 Caroline Cunningham with The Washingtonian shares information about our free open house and recommends trying axe throwing with us! The Washington Post shares a number of gift ideas and had Bad Axe Throwing on their list more than once! Megan McDonough with The Washington Post shares 21 gift ideas your single friends will actually enjoy: A Solo-ish gift guide. Recently suffered a breakup? 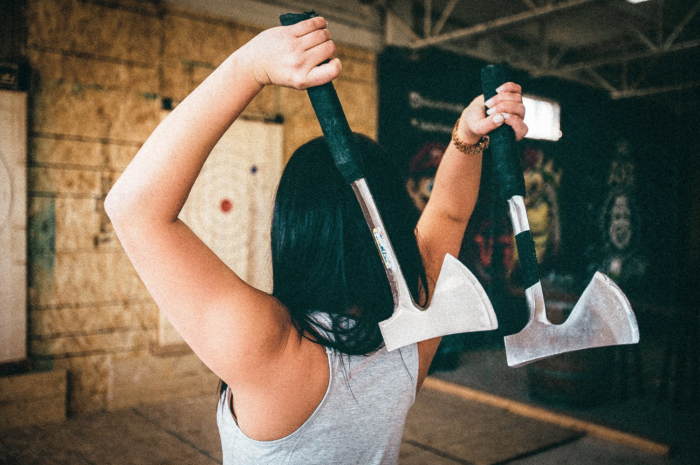 Bury the hatchet and give yourself an axe-throwing therapy session. Packages includes a session with an axe-throwing coach and 2 1/2 to three hours of exhilarating fun. Another gift guide by The Washington Post includes 8 winter date ideas that go beyond dinner and a movie. 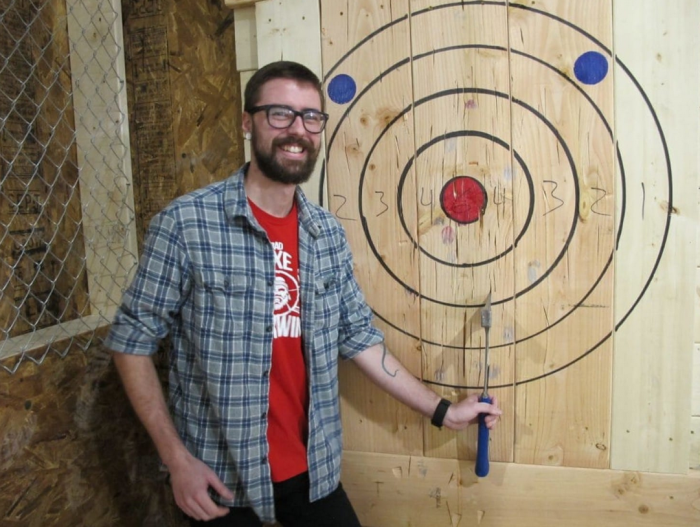 If you want a date idea that your colleagues will be asking about on Monday morning, spend an evening throwing hatchets at plywood targets at Bad Axe Throwing in Northeast Washington, where the distraction-free surroundings encourage conversation. We’re thrilled to be featured in each of these reputable media outlets! It’s clear that Washington is excited and eager to learn how to throw axes with us! 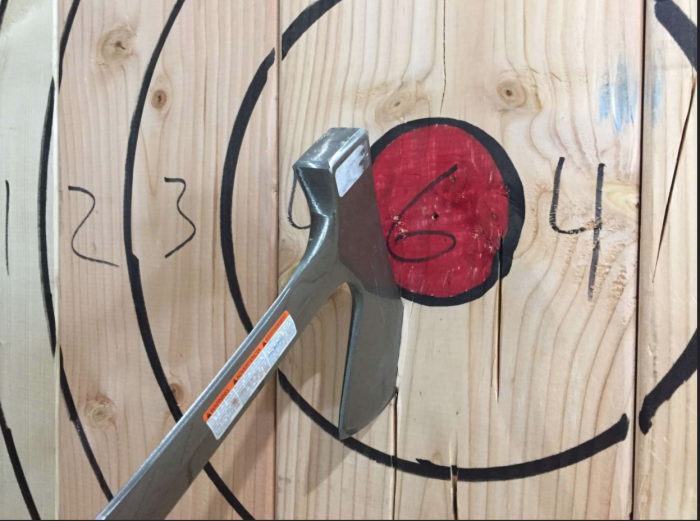 Book your axe throwing event online at Bad Axe Throwing.